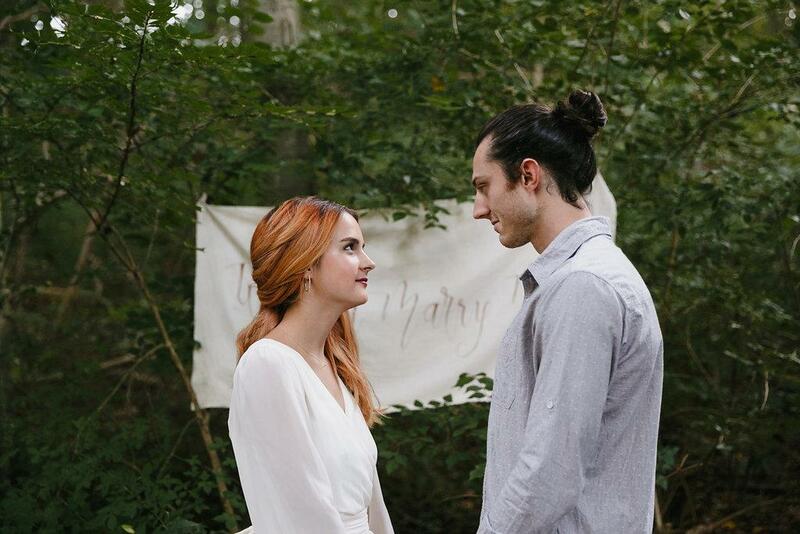 This naturally elegant Fall styled shoot assimilates the beauty of an intimate proposal, embellished with beautiful decor, and a quaint picnic celebration. 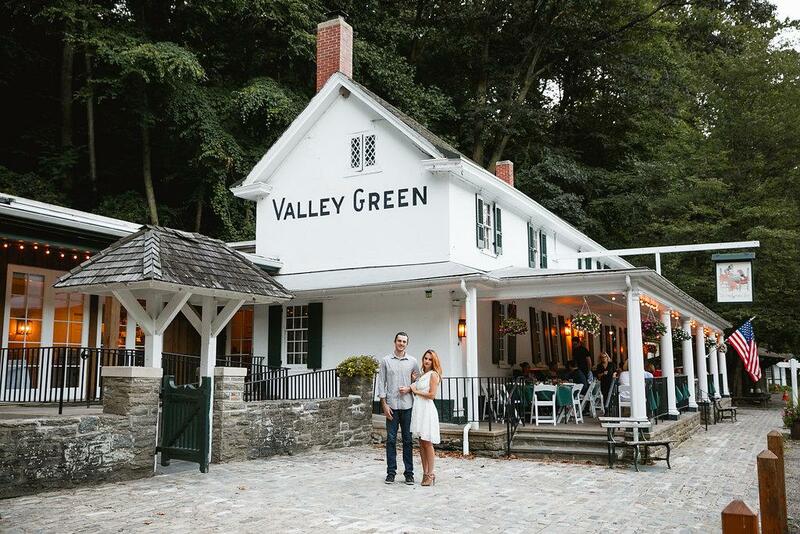 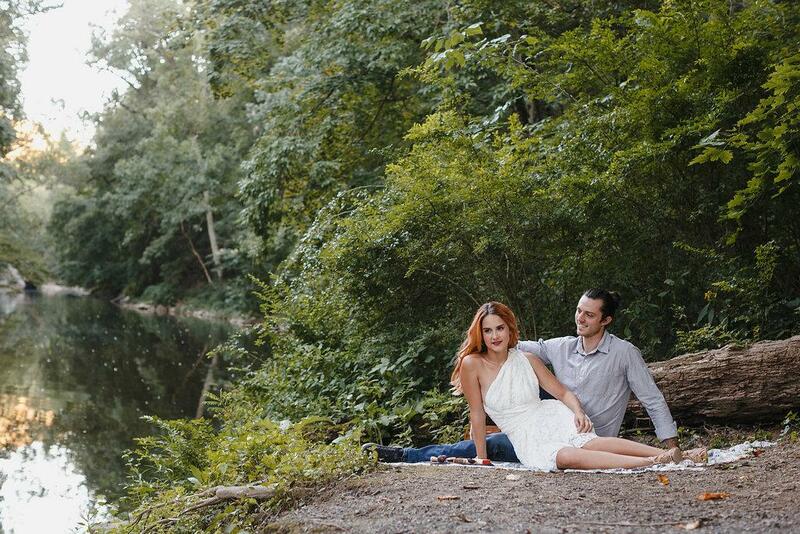 The beautiful landscape that surrounds the Valley Green Inn is the natural woodland of Wissahickon Valley Park, which was a quintessential location for this rustic styled proposal. 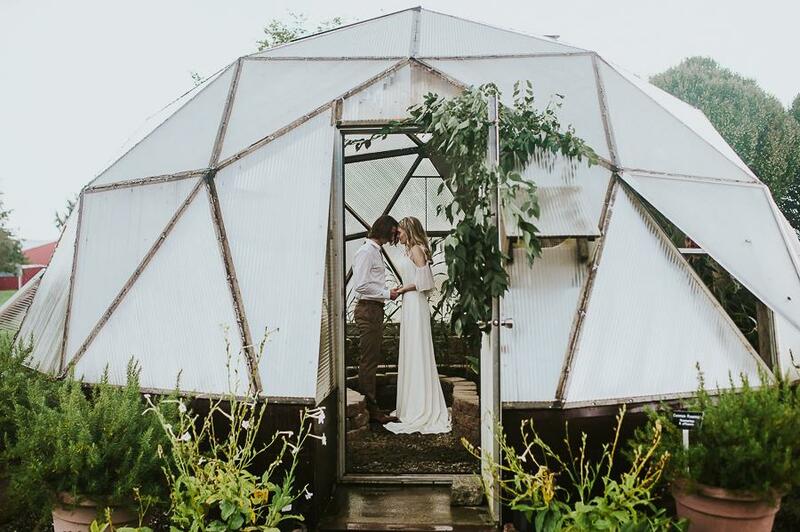 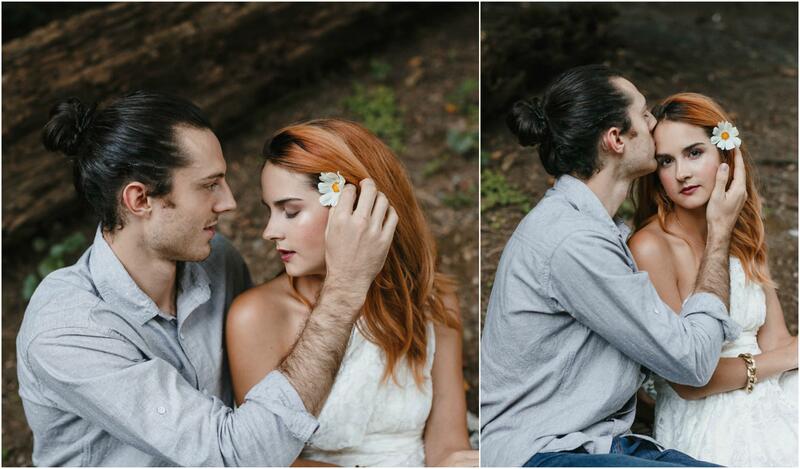 Love Me Do Photography stunningly captured every bit of detail that was cultivated in the thick of enchanting greenery. 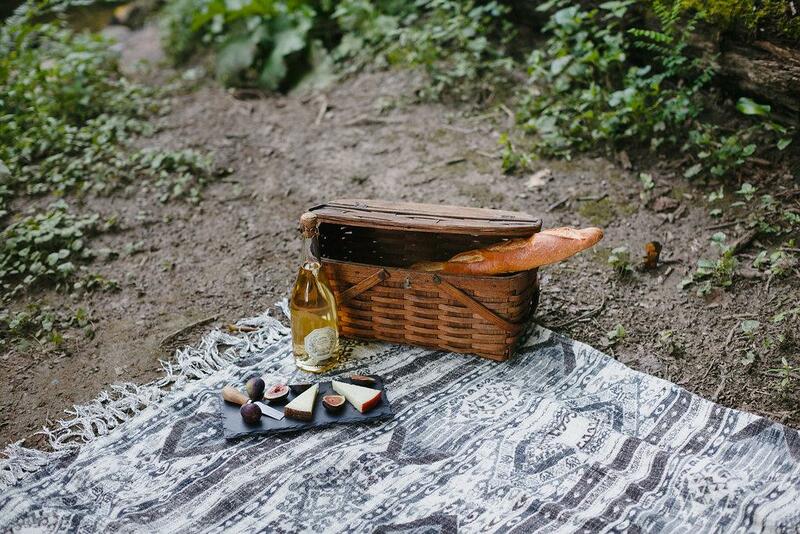 Lindsey Morgan Event Design created a picturesque display of an authentic picnic, and an elegant sweet heart table, which were the perfect complements to this rustic backdrop. 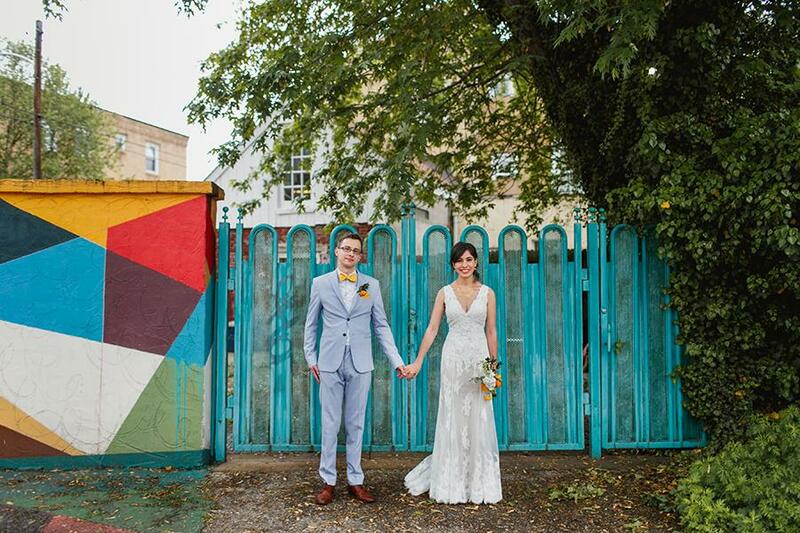 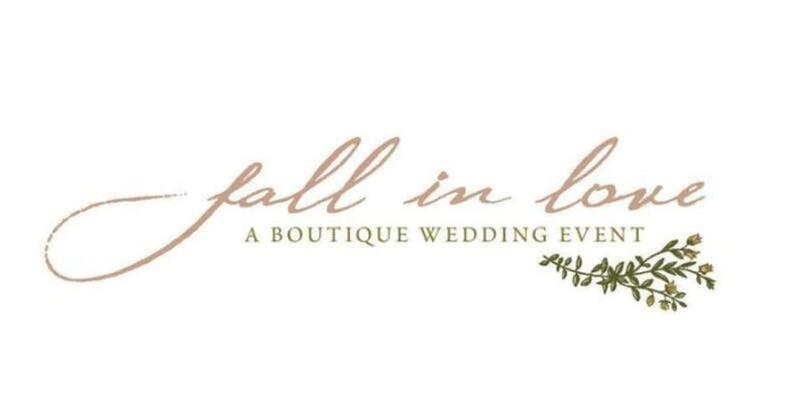 Altogether a lovely day resulted from the collective artistry of Philadelphia wedding vendors who are truly inspiring! 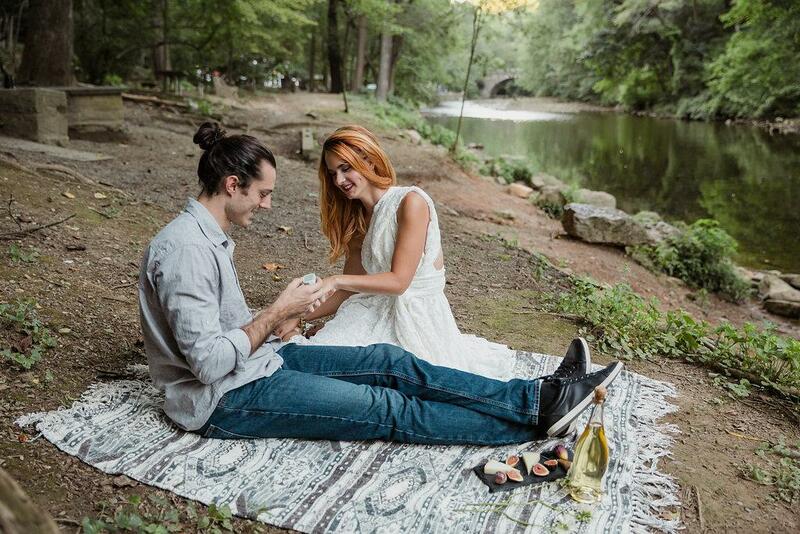 See how it all unfolded below, as a charming proposal transpires with a custom engagement ring from L. Priori Jewelry. 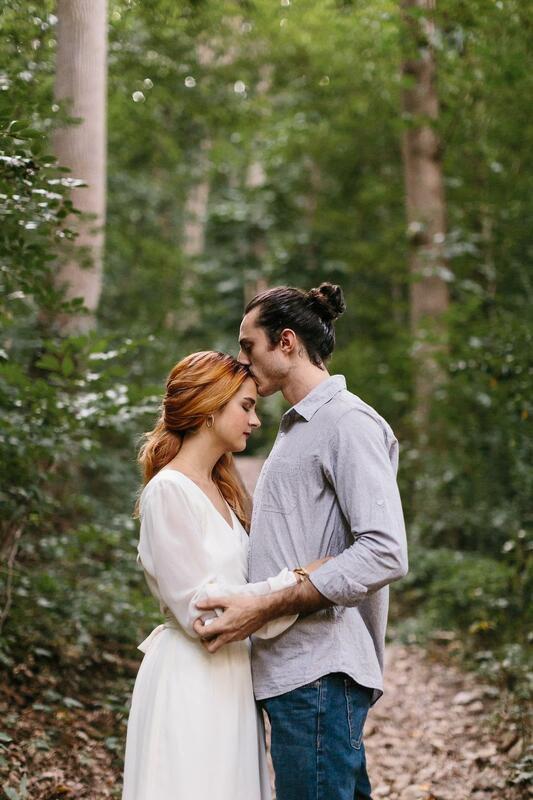 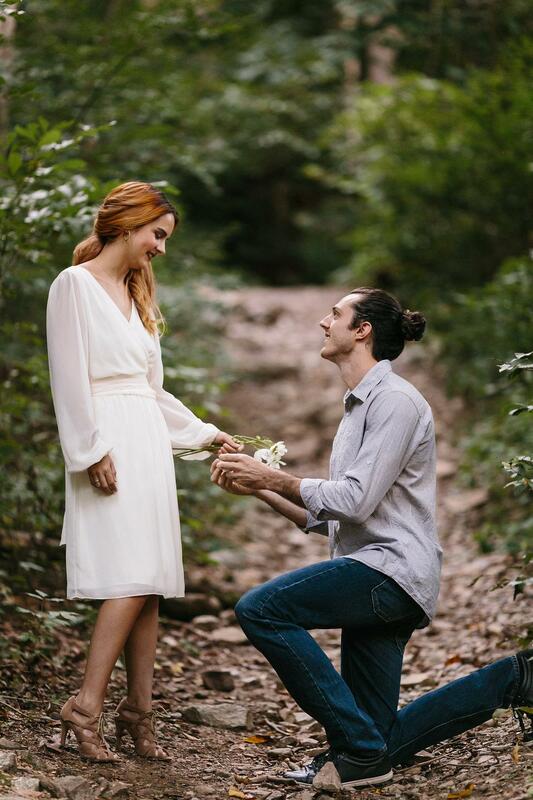 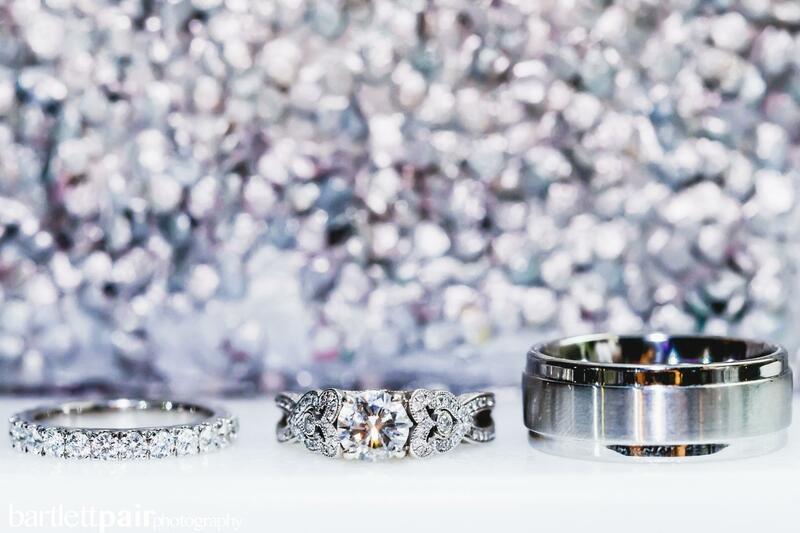 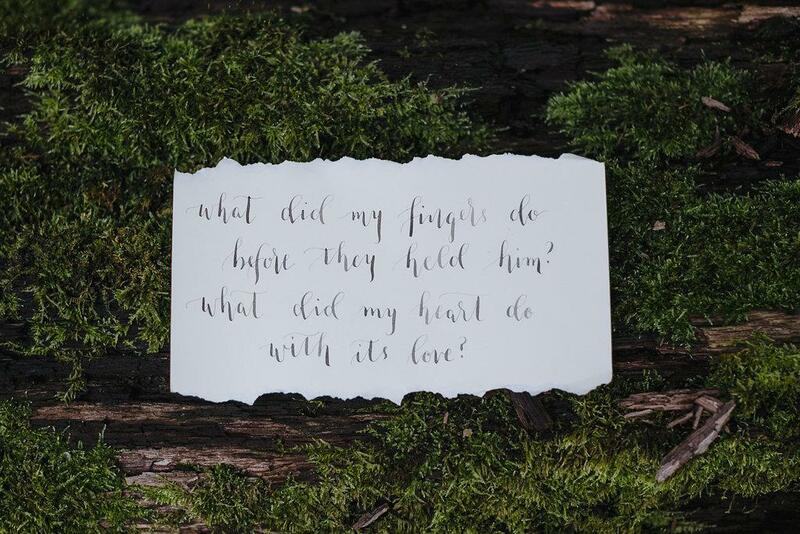 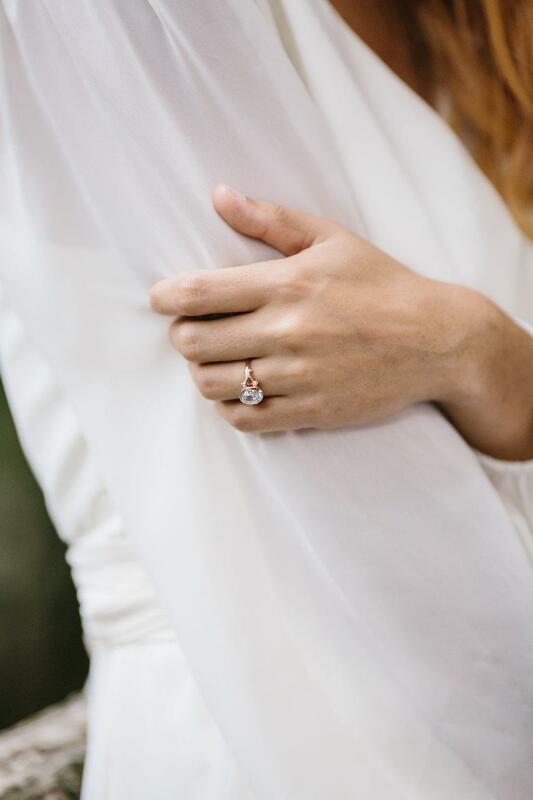 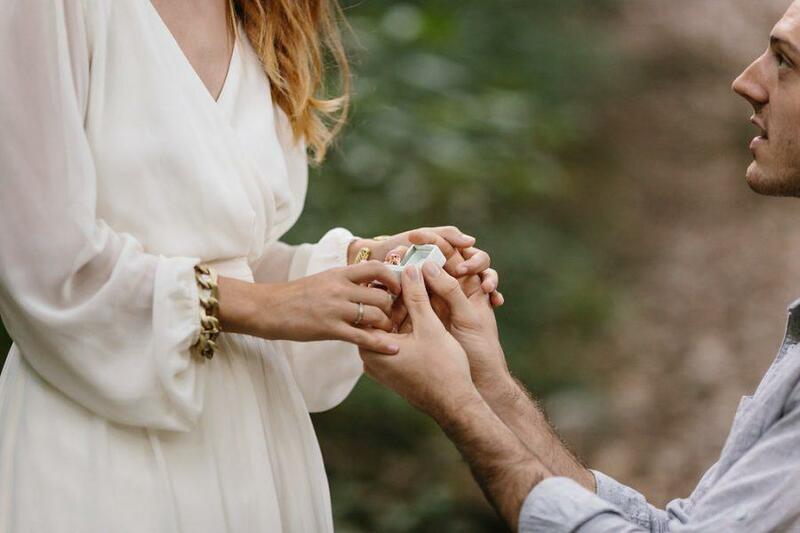 From Lauren Priori, L. Priori Jewelry: Our proposal themed styled shoot is all about that special moment when she says “yes!” Inspired by the the beauty of the Wissahickon Park in Philadelphia, we kept the feel cozy, warm, and natural. 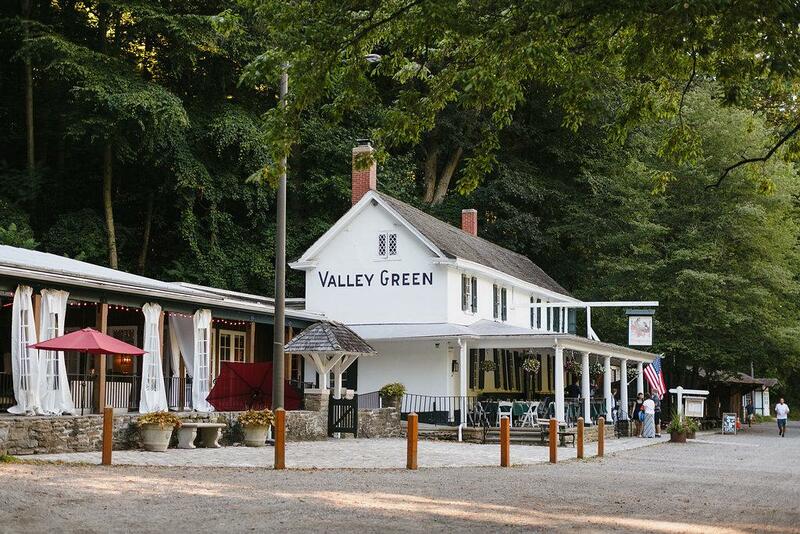 Johnny proposed to Amberlee after a hike behind the iconic Valley Green Inn. 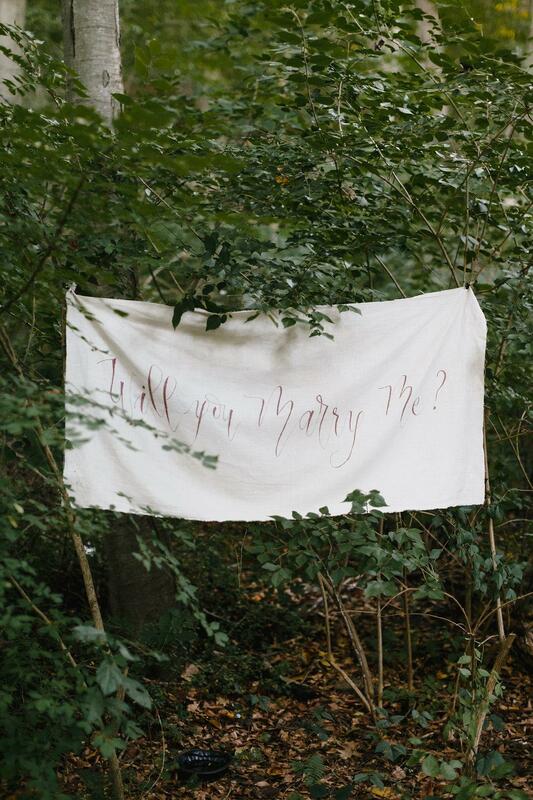 A custom linen sign from calligrapher The Paperly Studio read “Will You Marry Me?” With a beautiful custom engagement ring from L. Priori Jewelry, she said yes! 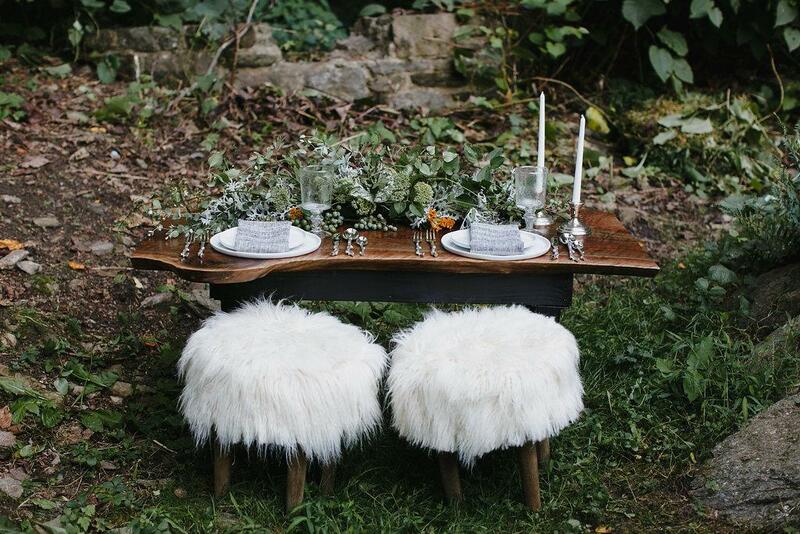 Planner Lindsey Morgan Event Design set the celebration scene with a cozy picnic and sweetheart table. 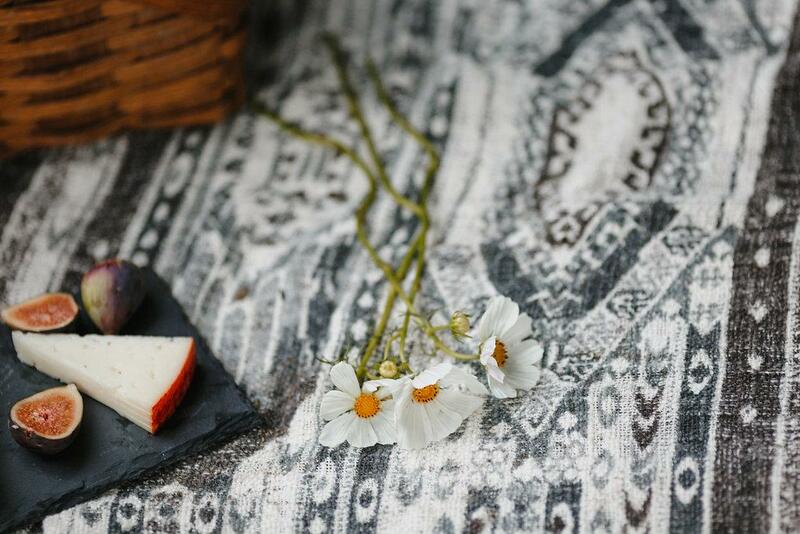 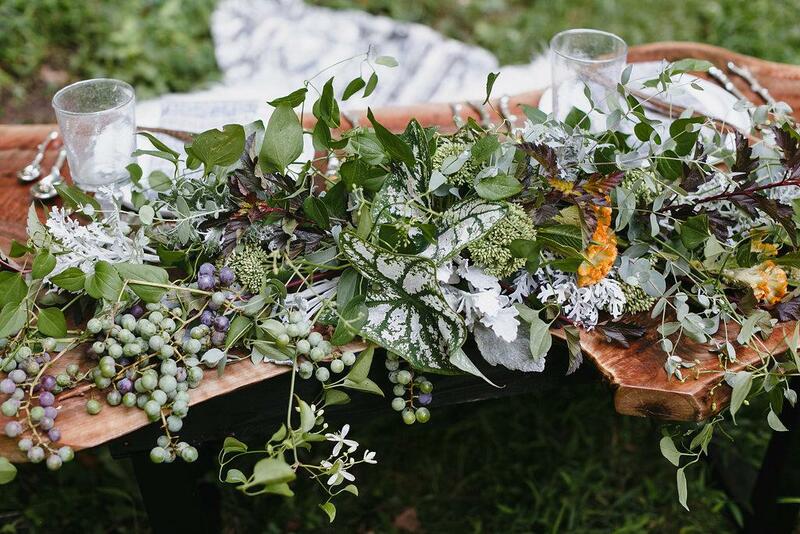 A lush tablescape included blooms crafted by From Blossoms. 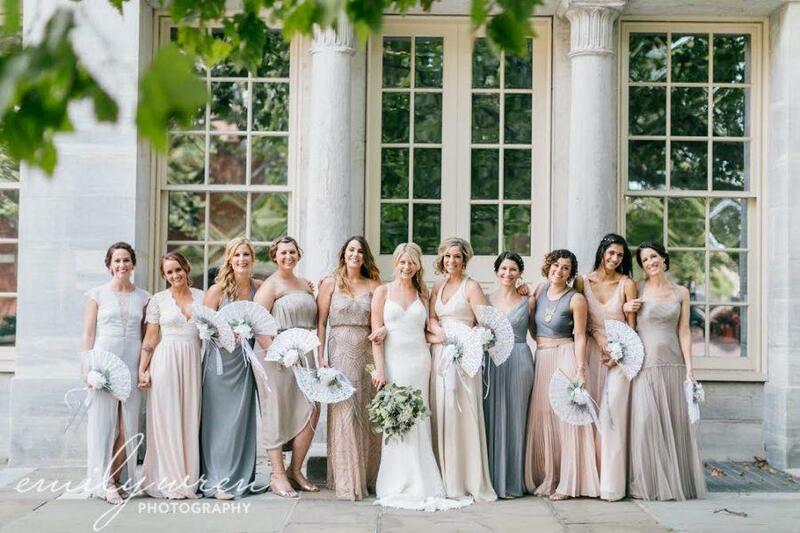 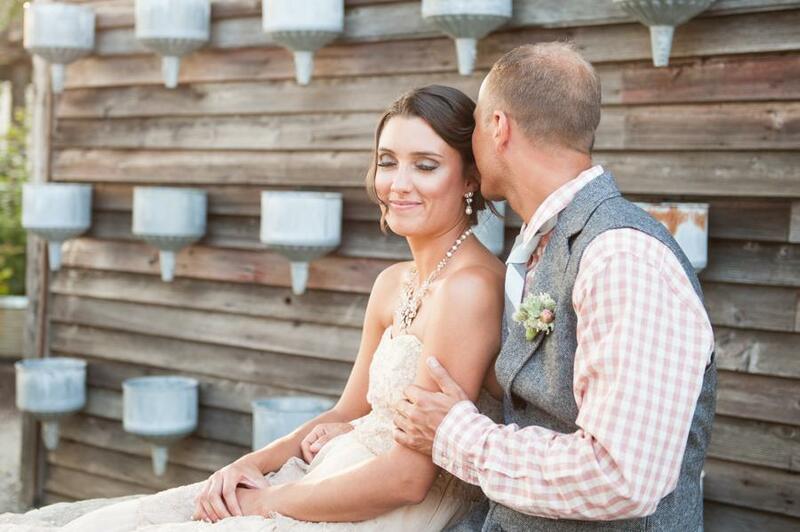 The bride-to-be was ready for the big moment in a dress from Bella Bridesmaid. 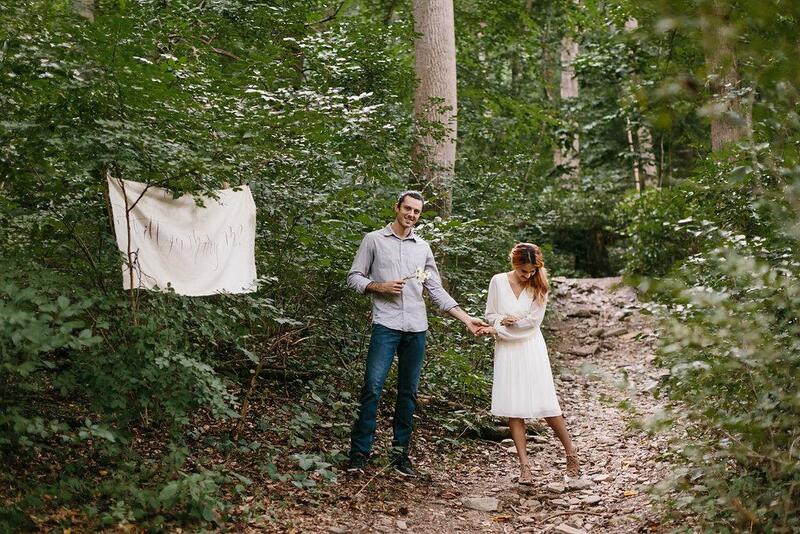 She changed into another little white dress from Bella to celebrate with a sweet picnic. 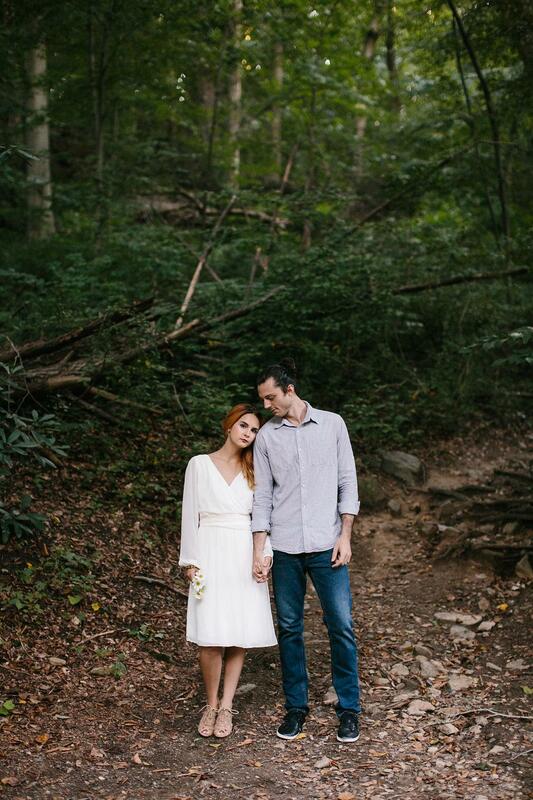 Jaclyn of Aleksandra Ambrozy kept her makeup fresh and natural. 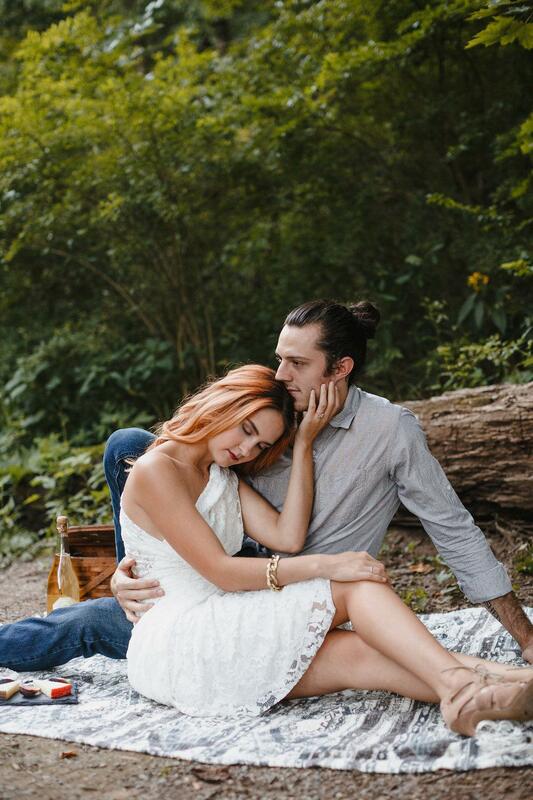 With pretty curls pinned away from her face, our newly engaged bride-to-be took her pins out as the evening went on.